Injuries Alleged: Elderly woman slipped and fell in the foyer of a local Dunkin Donuts, incurring a permanent shoulder injury. An elderly woman who walked with the assistance of a cane acquired a Slip and Fall injury in the foyer of a local Dunkin Donuts. This Dunkin Donuts was a daily stop for our client who was familiar with the store employees and entrance. On the day she fell, the rug that was located on the inside of the foyer was not secured to the floor, causing the edge of it to be upturned. Our client’s cane became stuck on the rug, causing her to crash to the floor, incurring a permanent shoulder injury. 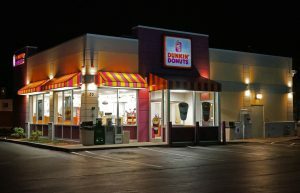 Dunkin Donuts offered approximately $7,000.00 to settle the case, our law firm and client declined. A lawsuit was filed, and shortly before a scheduled trial date, Attorney Michael D. Facchini negotiated and secured the settlement of $27,000.00 for his client.